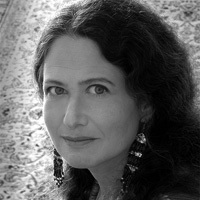 Jane Hirshfield is the author of seven books of poetry, a collection of essays, and three anthologies collecting the work of women poets of the past. Her most recent book, After, was named a best book of 2006 by The Washington Post, The San Francisco Chronicle, and England’s Financial Times, and was a finalist for England’s T. S. Eliot Prize. Given Sugar, Given Salt (2001) was a finalist for the National Book Critics Circle Award. Other honors include The California Book Award, The Poetry Center Book Award, and fellowships from the Guggenheim and Rockefeller foundations, the National Endowment for the Arts, and the Academy of American Poets. Hirshfield’s poems have appeared in The New Yorker, The Atlantic, the Times Literary Supplement, The Washington Post, The New Republic, The Nation, Orion, Poetry, The American Poetry Review, McSweeney’s, and five editions of The Best American Poetry. A resident of Northern California since 1974, she has taught at the University of California, Berkeley; Bennington College; and elsewhere, and presents her poems widely in universities, literary centers, and festivals throughout the United States and abroad.